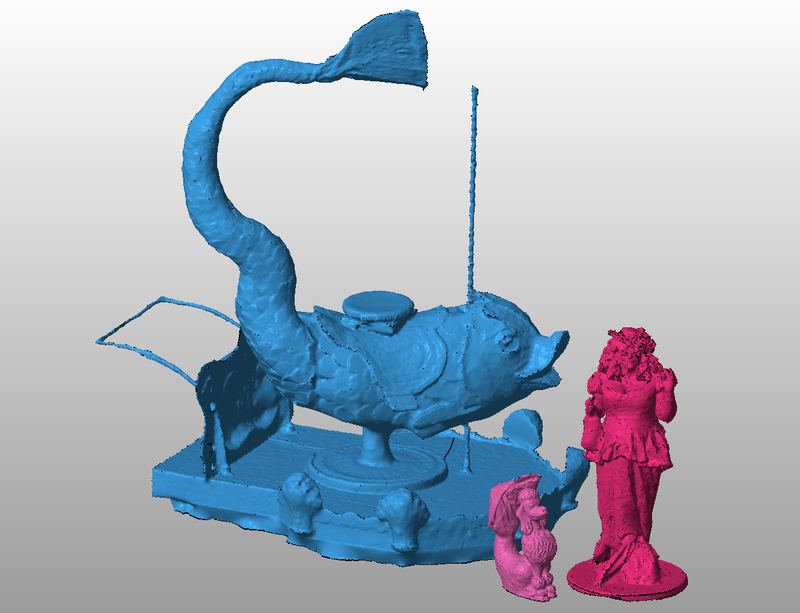 At the Mermaid Parade this year, I had the opportunity to 3D scan Kate Dale, the “Pink Poodle Lady”. 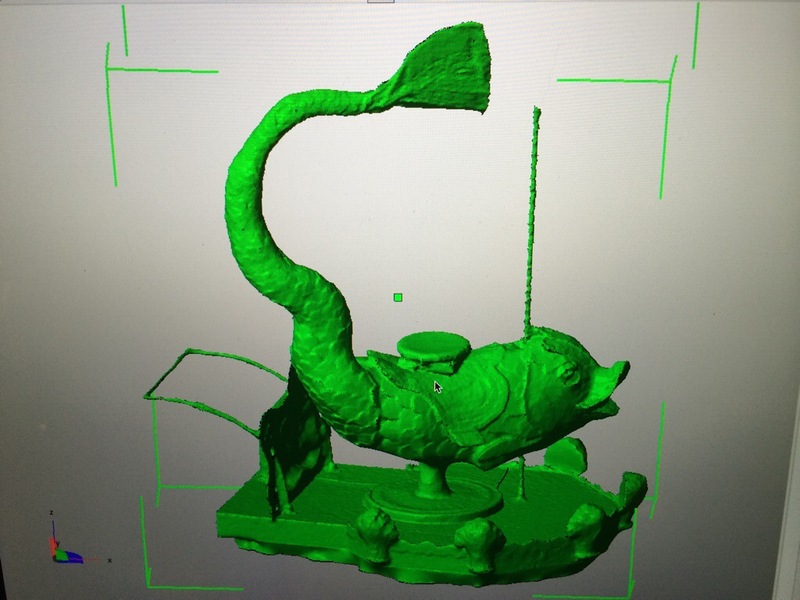 Last week Kate called me and invited me up to Julliard (where she is the prop master), to 3D scan her entire float before it had to be dismantled. 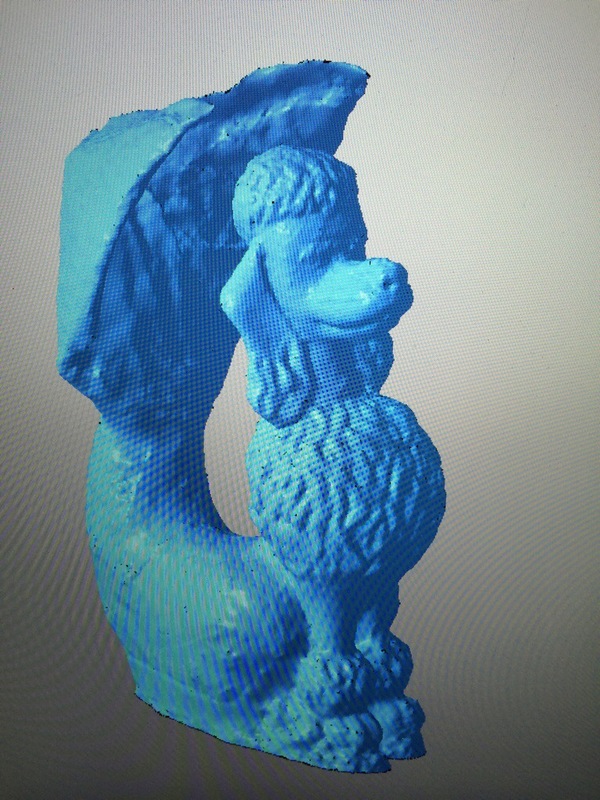 I tried several times to use the Sense scanner to capture it, but the scan wasn’t quite ideal. For example, the fish Phinn’s scales were not showing up and there were a number of seams. It would have been a lot of zbrushing to fix it. So I pulled out my iPhone and used 123dCatch. The results are great! I may pull out the Sense scans and use some details from them to add further embellishments- for example the clamshell footlights, but really I’m quite pleased with the result!